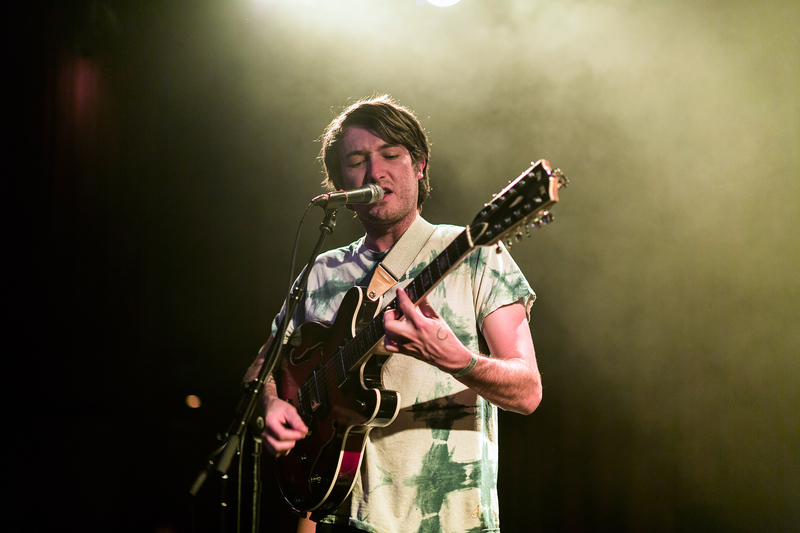 Californian singer/songwriter Mikal Cronin kicked off his latest tour in his adoptive hometown of San Francisco, at the Independent on April 22. After opening sets by SF/Bay Area bands Meat Market (extremely energetic yet stationary) and Cold Beat (sort of aggro shoegaze-y, and with whom Cronin played a bit of saxophone), Cronin took the stage. Sporting a relatively fresh, short haircut and a t-shirt made by a fan that he admits he wears all the time (as evidenced by its appearance in several promo photos), Cronin unveiled a slew of news songs off his new MC III, along with a mostly new backing band. Besides his trademark catchy, lush melodies and arrangements, highlights included Cronin’s sweet 12-string electric, as well as a t-shirt for sale that features a saxophone playing a saxophone.